When I heard about the Lance Armstrong ban, I was kind of gutted. I am not alone in not knowing the detail of what has gone on and Im not going to give my opinion here (tempted as I am). One of the first things I wondered was what impact it would all have on his foundation Livestrong. The foundation was set up by Armstrong, who was already a well known cyclist, and it was inextricably linked to, not only his recovery, but his subsequent Tour wins. The two, in so many ways are one, just look at the name. By 3:30 p.m. Friday, Livestrong had received donations from 411 contributors, almost 10 times as many as Thursday, which had 42 donors. Livestrong received $80,000 from online donors Friday, up from an average day of around $3,000. By the Saturday this had gone to $148,950. It had sold about $13,000 in merchandise, more than tripling the $4,000 total from Thursday. The foundation needed three full-time workers to help respond to emails flooding its general mailbox. 98% of the messages were positive. There have been financial impact to the foundation, and this is to be expected. Armstrong is banned from cycling, so this means he can’t compete in Triathlons, so the deal he had with the World Triathlon Corporation, in which Armstrong would compete in WTC events in exchange for $1 million for the foundation, is off the table, because he cannot compete in Triathlons. But Nike have come out and said they are standing behind Armstrong and the Foundation. I think this quote from The Roar kind of sums up how a lot of people feel towards Armstrong and more importantly the foundation. For what its worth, I own a framed cycling jersey that is signed by Lance Armstrong. It will continue to hang proudly on my office wall. In my eyes his signature represents excellence and the fight against cancer. And the figures cited above seem to back that up. For what its worth, I own a framed cycling jersey that is signed by Lance Armstrong. It will continue to hang proudly on my office wall. In my eyes his signature represents excellence and the fight against cancer. We, the fans, will ultimately decide the value of the Lance Armstrong brand. 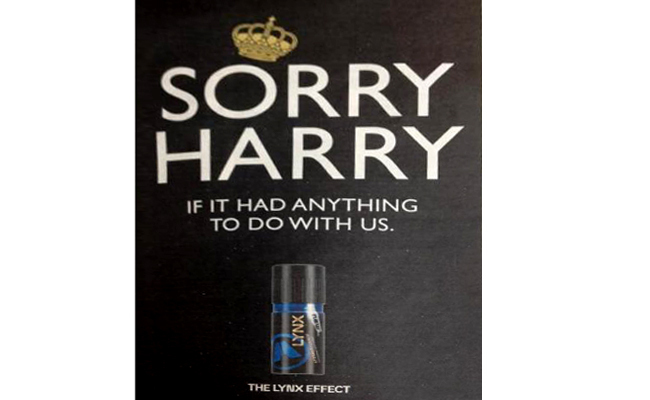 Lynx have responded quickly to the Prince Harry Las Vegas stories with these clever ads, apologising to him if it had anything to do with them (ie, he uses Lynx and therefore scantily clad women can’t help themselves!). I probably havent been all that loud recently, but I will be very quiet for a few weeks, taking some time…some Conor Time! 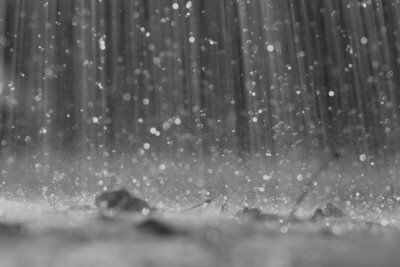 Expecting lots of this…but who cares, I can sleep!! Speed Dating to meet – your new cat! Saw this on the DSPCA facebook page and thought it was very clever. Maybe I am slow coming to this? But saw this tweet last night from my friend David Wolman where he was selling his book (The End of Money) through twitter. How cool is that! All you have to do is reply to the tweet with the word buy! Ok, so you do have to sign up to Chirpify for your order to be processed, but once you are, all you have to do for future purchases is reply to a tweet with the word buy! So its like amazon one click purchasing on twitter. Genius stuff. Think of the possibilities!